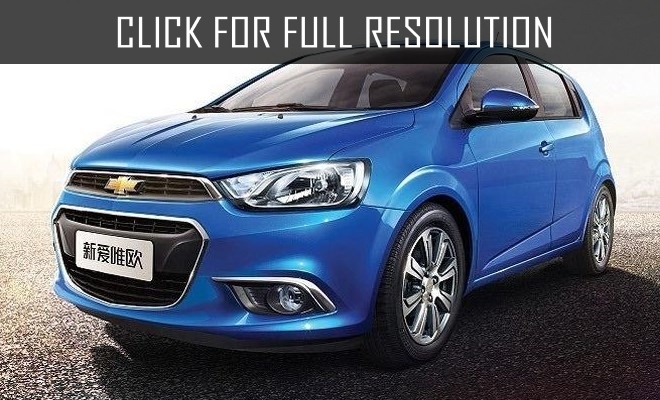 General Motors spread images of a hatchback and sedan of Aveo, which have adept restyling. While it is a question only of the family version for the Chinese market, however there is a probability that the European and American Aveo (in the USA the model is on sale under the name Sonic) will be modified in the same way. In the updated Aveo absolutely changed front look of the body, which is now performed in the style of the sedan Cruze of the next generation. In the new Aveo changes include other front bumper, other front grille, and also the modernized back lamps. The images of the interior of the updated Aveo still are not available. The sales of the updated Aveo in China is going to start next month. Firstly, only sedan Aveo will enter to the market and in July there will be also a hatchback. The producer promises that the restyling endured by the model, won't affect its price. Thus, prices for the model will remain the same - from 81.8 thousand yuan (13.1 thousand U.S. dollars) for the base modification.